I am a retired marketing professional. I do professional model work for kit makers. Over the years, I have done kit masters for Des Plaines Hobbies, Chooch Enterprises and Southern Car & Foundry. My favorite modeling medium is styrene. I have been an avid builder for many years. 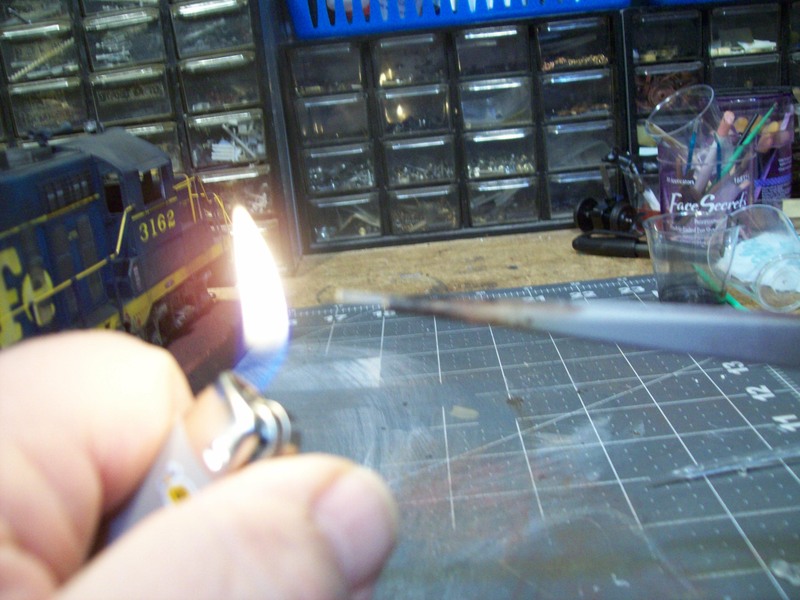 Model Railroading has been a life-long interest. 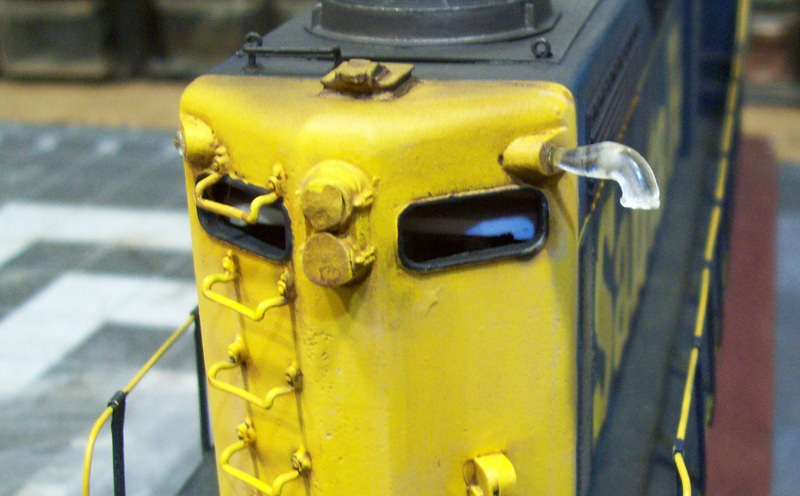 My particular interest is in Proto48 which is a subset of O scale (1:48 scale). 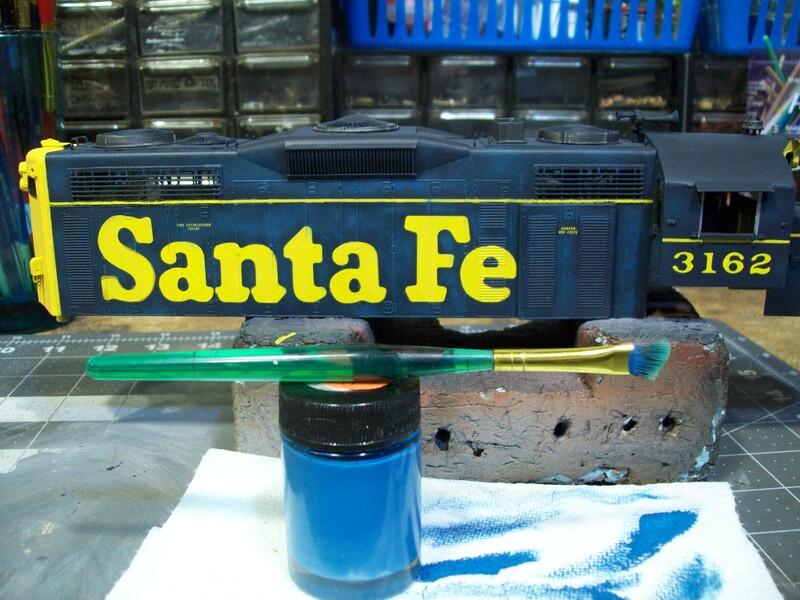 I have tried HO, American Flyer, On3, S scale and Sn3 before settling on Proto48. In addition to this blog, I have a discussion group @ Yahoo and a website called the Proto48 Modeler. I have made a huge mistake regarding the creator of this beautiful model. It is actually the work of Luc Po. He is also a talented model builder. I will leave the pictures but remove the text. I am sorry to have mislead you with this story. MODELING: Penn Central by Jim Zwernemann???? So this guy who lives in the middle of Texas decides to do something a little off the wall. 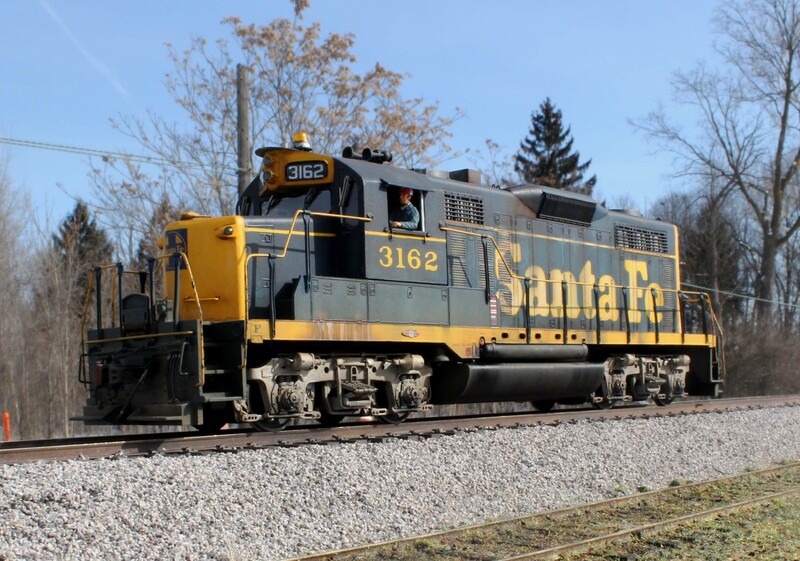 He build something that interested but didn’t quite fit into the local railroad scene. 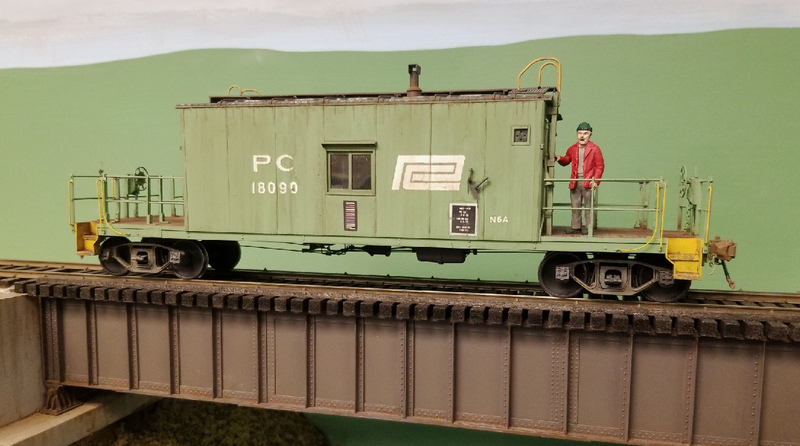 It is a Penn Central transfer caboose. So I asked Jim Zwernemann why he wanted to do this. His response was that it is no different than me building a Lackawanna wood caboose. Ok you got me. As you can see, the car is composed of sheet and strip styrene with brass and parts found around his shop. 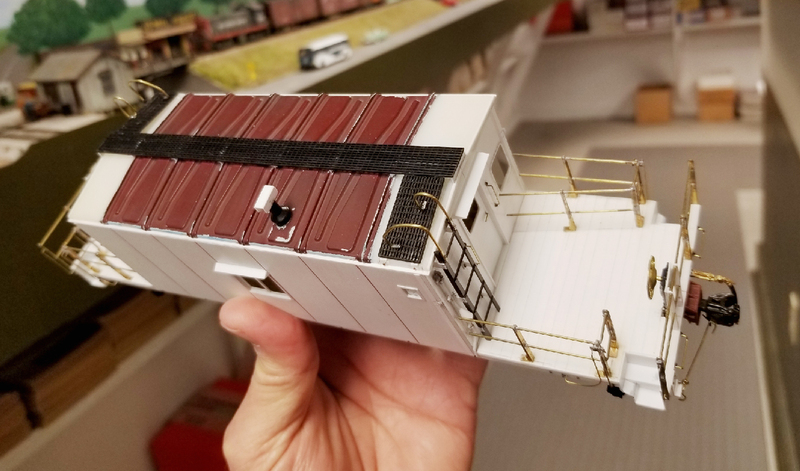 Jim used a section of a Lionel automobile car roof. The running boards is a very old Quality Craft Blaw Knox molding. 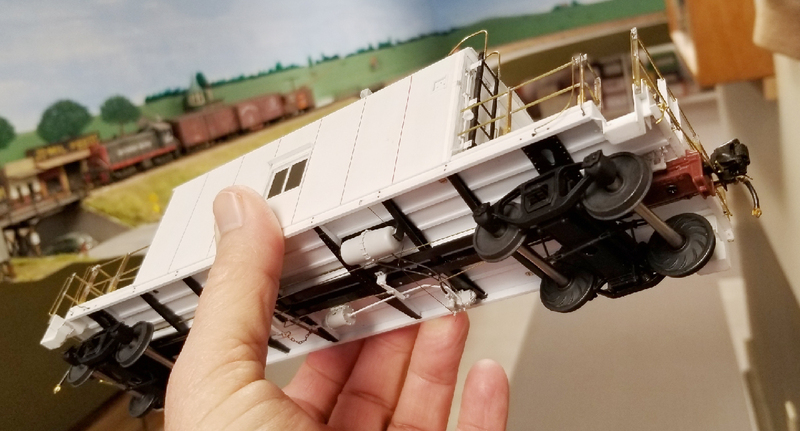 The underframe looks like it came from an Intermountain boxcar. 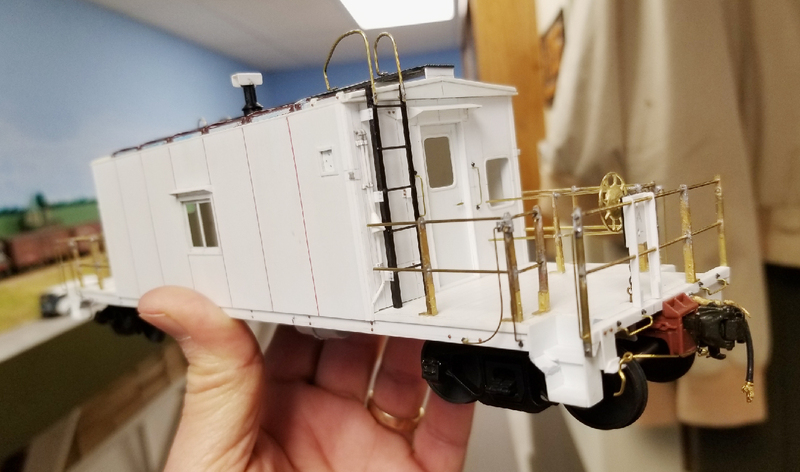 Jim added a pair of Protocraft’s new Bettendorf swing motion caboose trucks and their AAR Type-E couplers. 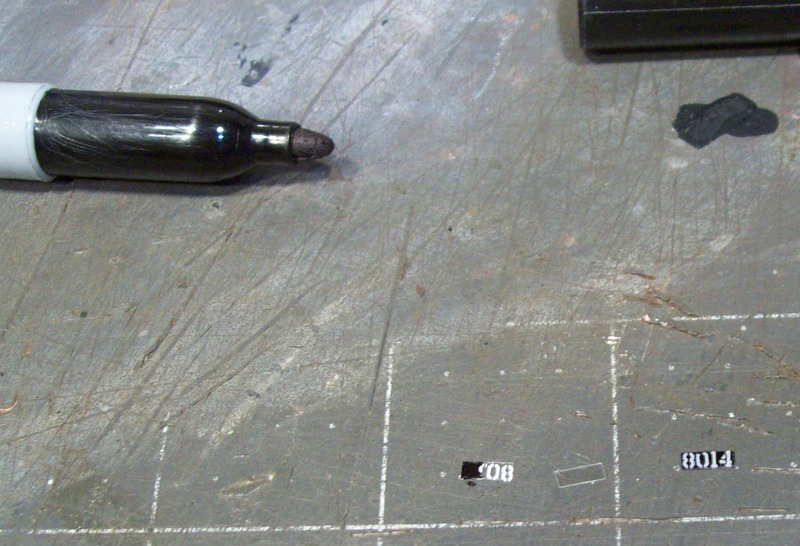 The weld lines on the carbody were created using some .010″ styrene. One of the hallmarks of a Jim Zwernemann is the finish. He creates the well used look with acrylic washes and spot applications. The galvanized roof coloring is really nice. By the way, he made a mask and sprayed the Penn Central logo. The car number came from a dry transfer set. The model shows that with a little scrounging you can create an unique model. 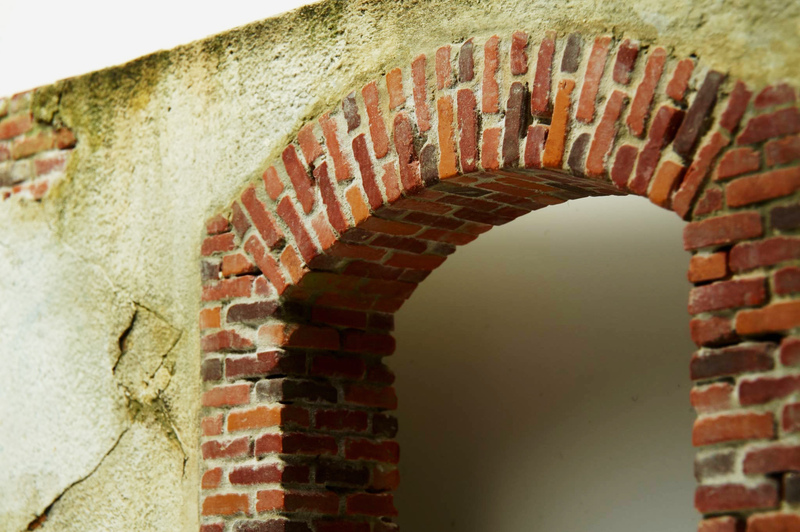 As always, I am grateful that Jim shared his work with my blog. By the way, he won first place in catagory at the recent March Meet in Chicago. Jim Zwernemann is a true champion in my book. 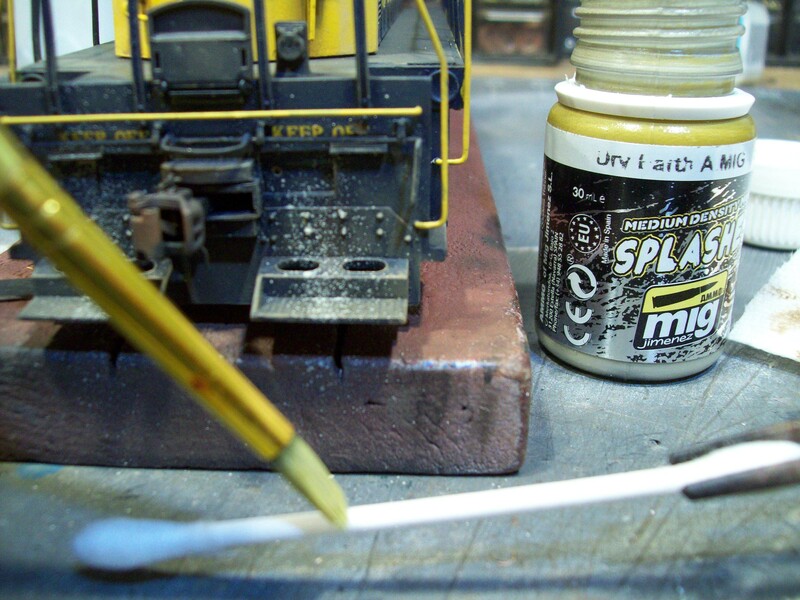 I have made an adminstrative change to some of the previous posts on weathering. I have created a new catagory called “Weathering”. 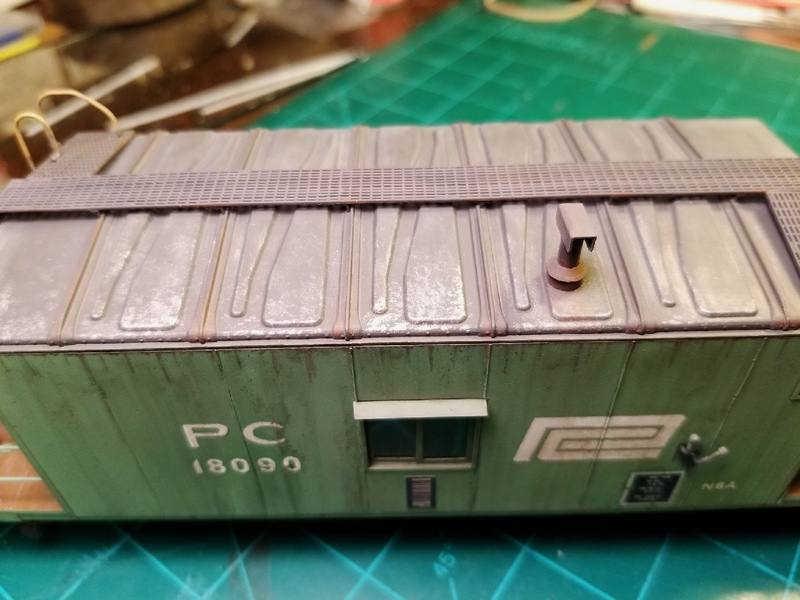 This will allow you to view the numerous posts on weathering and techniques used. To see this grouping you need to click on the “Menu” button on the front page. Then click on weathering on the drop down list. You can sort through the many years of postings by catagory if you choose. You can also search using a key word or title. 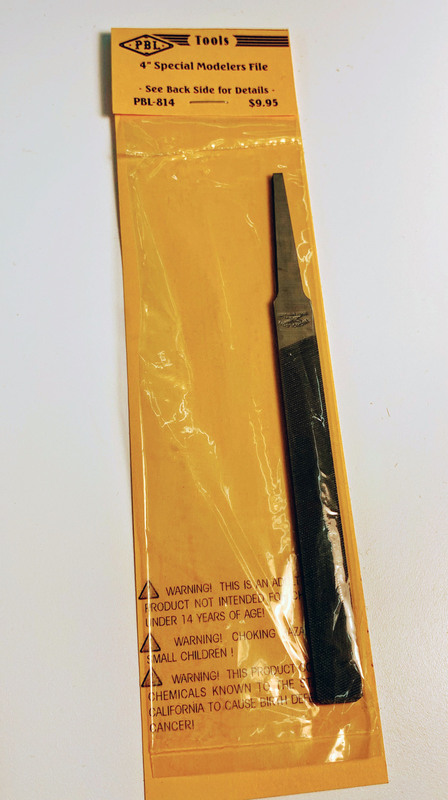 In response to a question by one of the list members, Lee created the following material to show how he finished the Sata Fe GP-20 shown in a previous post. The first step was to dry brush a light blue lightly over the hood sides mostly in the center of doors and panels. 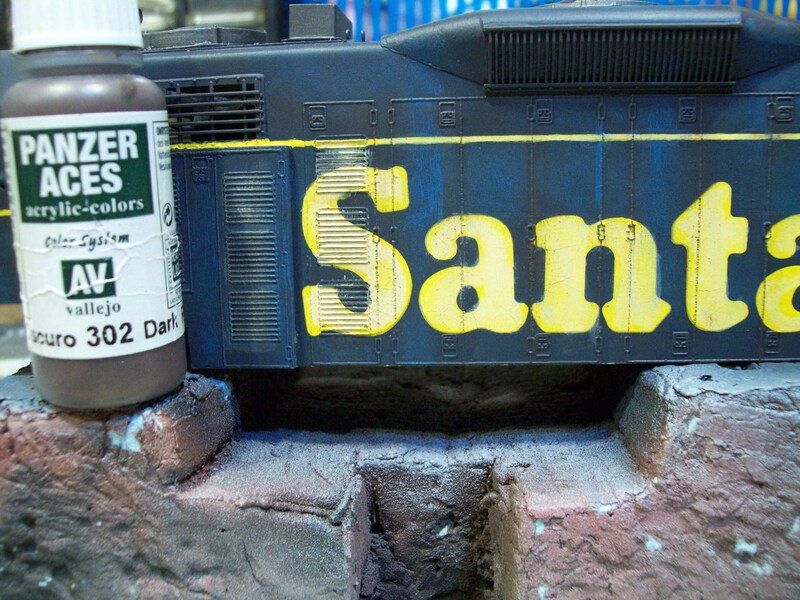 This replicates the fading and chalking of the paint from heat, sunshine and harsh chemicals used in cleaning the locomotive. The cab and nose should be treated much lighter as it doesn’t have the heat from the prime mover. If there are any areas that are too stark or cross into the yellow blend with a brush dampened with Mean Green. B2 Next the same dry brushing was done with the billboard lettering using Vallejo dark sand. Also lightly drybrush the hood louvers just highlighting the edges of the louvers. 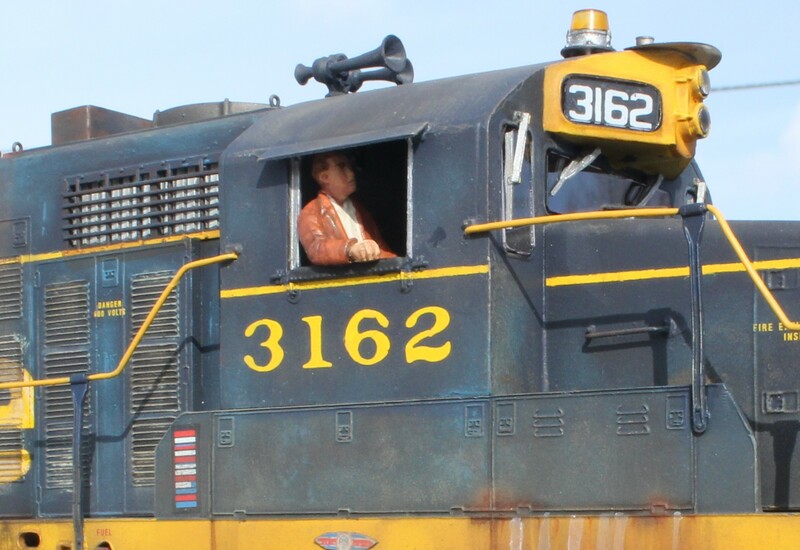 Vallejo dark rust is dry brushed over hood latches, hinges and door edges to make them contrast against the yellow and to darken the blue areas. 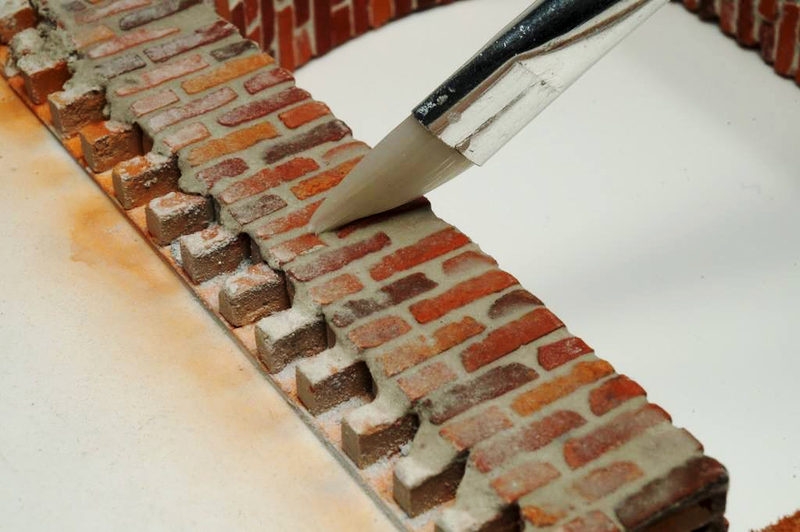 Model Master Acryl raw sienna is then dry brushed across the roof highlighting and creating contrast with the roof color. The pilots and walkways should get a good scrubbing with this color but go lighter on the hoods and frame sides. After the raw sienna go back with the dark rust and blend the two. It still may be a little too stark at this point but a very thin Model Master Acryl burnt umber lightly misted on with an airbrush will bring it together. 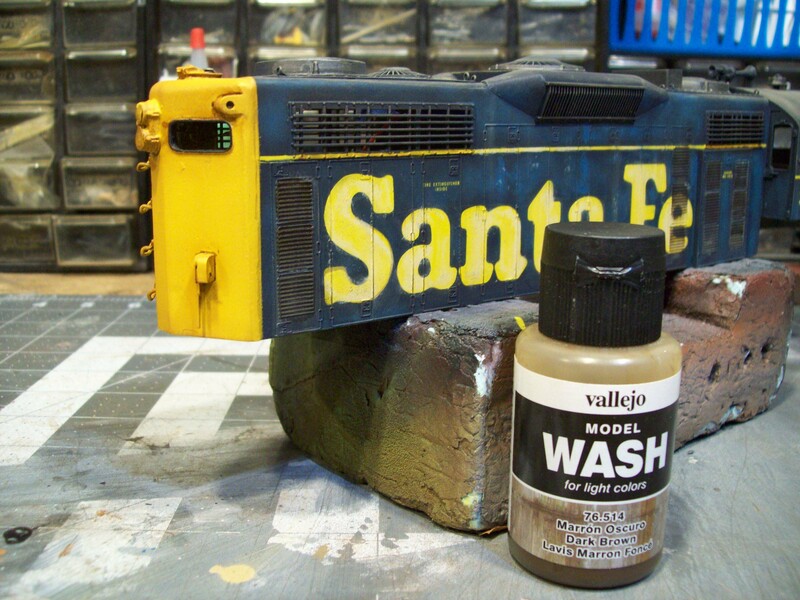 Vallejo dark brown wash is lightly applied over the vertical surfaces of the hood and frame and allowed to dry. These Mig Products are used for a slightly textured rust effect. The streaks on the frame sides were done with tracks wash for darker rust and streaking rust for lighter streaks. The streaks were blended with a brush dampened in mineral spirits as these mig products are a petroleum based product. 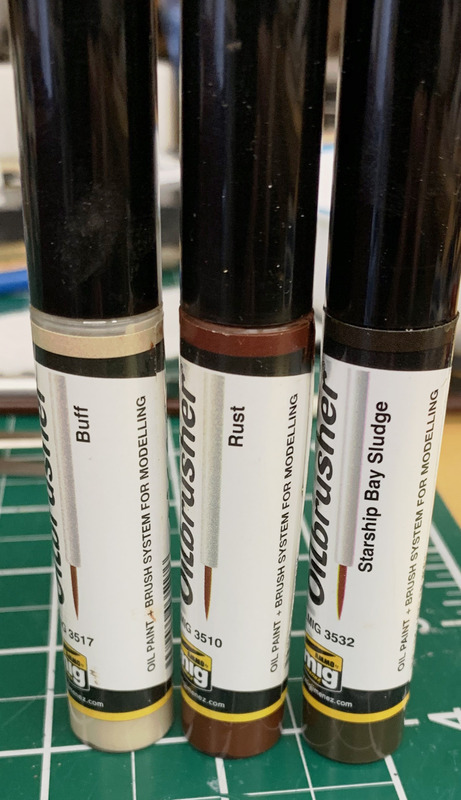 To get the rust texture around the hinges a spot of either of the two washes is placed around the hinge and powdered pigments are deposited in the wet wash. Once it has dried light brush off the excess pigment and it will leave a slightly textured rust spot. This weathering shows the effects of battery acid spillage in the battery boxes which is very corrosive. The white stains are Vallejo white wash to simulate the baking soda and water used to flush the acid out of the enclosure. B7.2 This gives a better idea of what the battery box door looked like after the previous step. Here are a few touches you can add to any diesel model to improve its appearance. 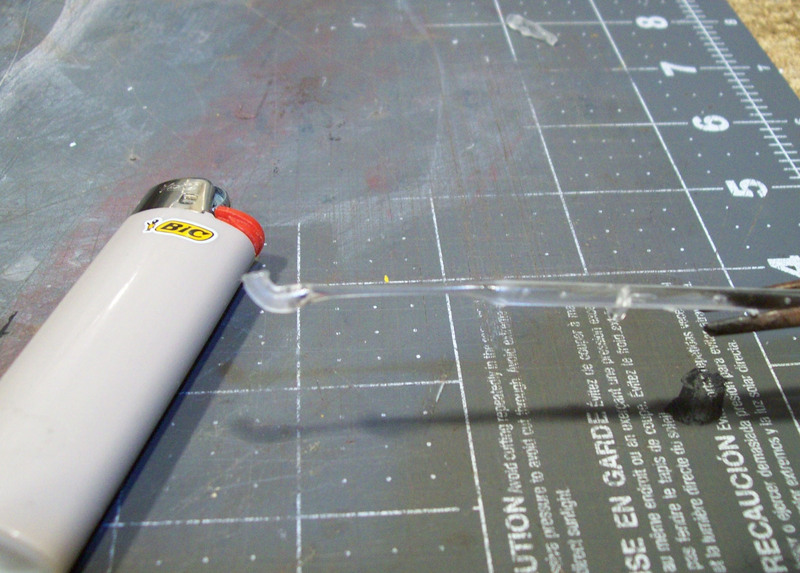 A piece of clear plastic sprue is heated with a lighter or candle and stretched. 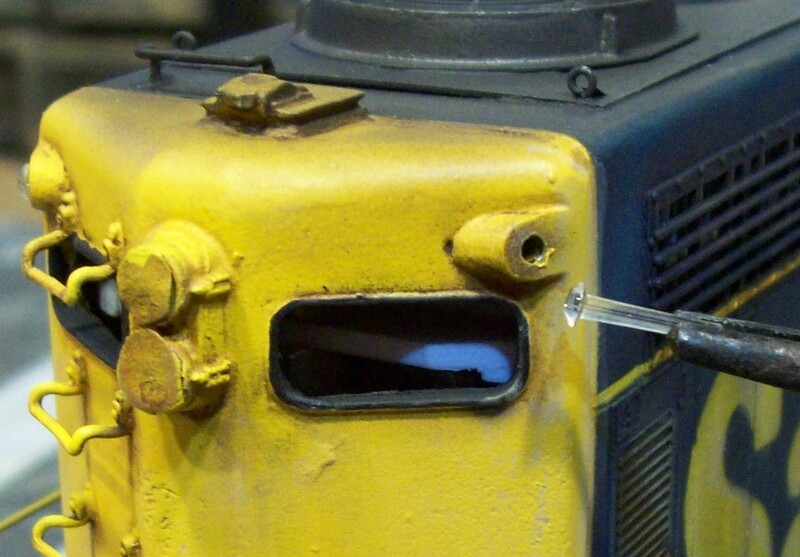 The tapered sprue is forced into the marker light opening making a mark how deep it fits. Trim the excess length of the sprue and darken all the edges except the face. 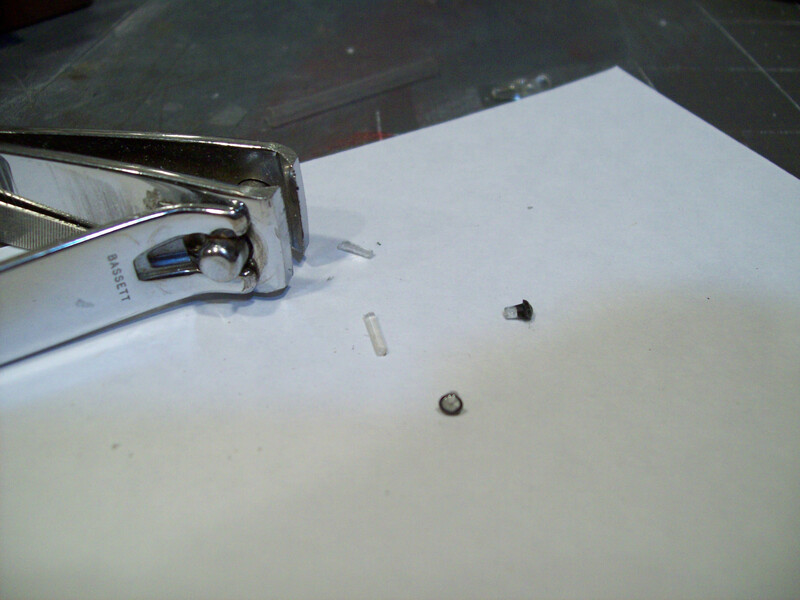 Using a white glue, canopy glue or Testors clear parts adhesive glue the lens in place. After the decals are set with decal setting solution and have dried, darken the back side and edges with a black Sharpie pen. Add the precut and dried number boards into the opening with clear adhesive. While I cannot cover every brush stroke I think this covers the major techniques used. 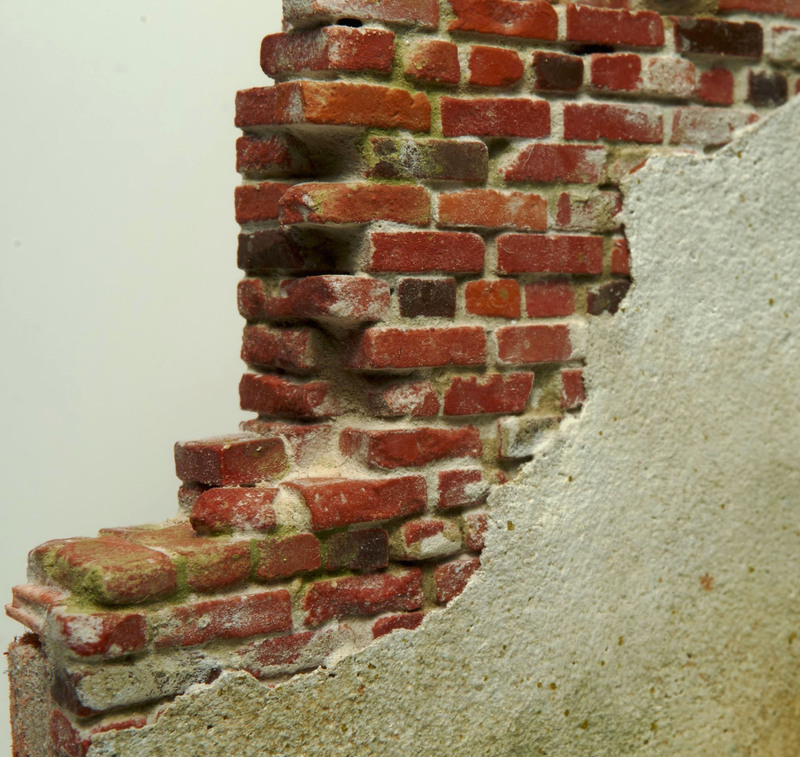 Keep in mind that each step of the way includes blending and fading to bring the weathering together. 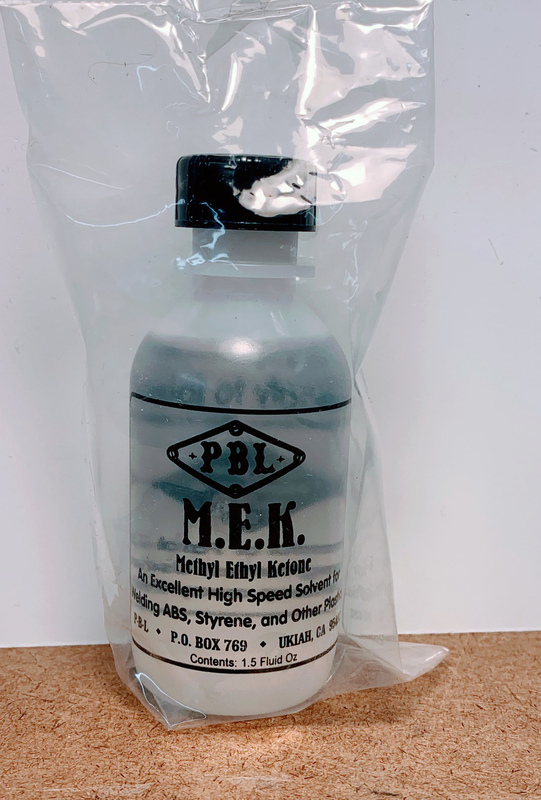 With the exception of the Mig Products all else was done with water based acrylic paints using Mean Green cleaner as a solvent for removing or blending mistakes. 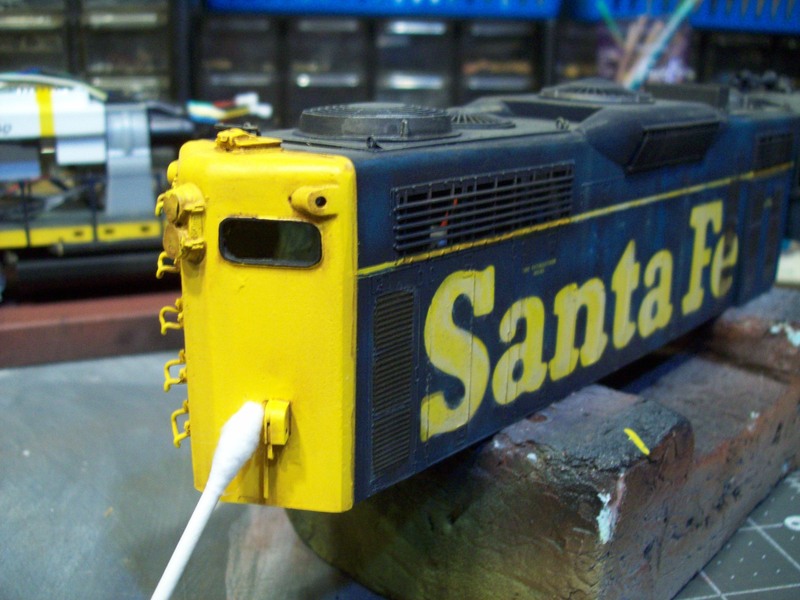 Thank You Lee for this excellent guide to weathering diesel locomotives. I shot some color and applied decals over the last week or so. 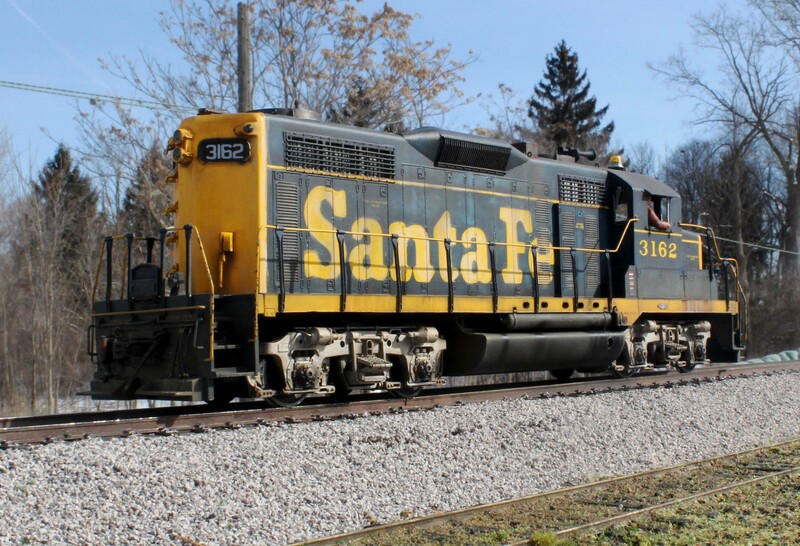 The car was painted with Tru-Color Northern Pacific TCP-193 Freight Car Brown. I added about 5% gray and about 3% gloss to reduce the saturation for viewing indoors. 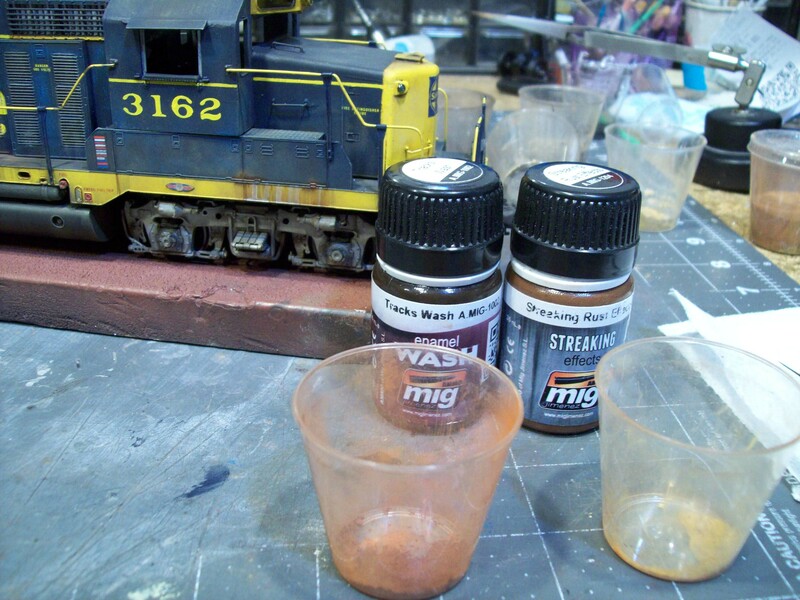 Tru-Color match their paints to actual railroad color samples. They are perfect for paintIng a full-size car and viewing in bright sunlight. 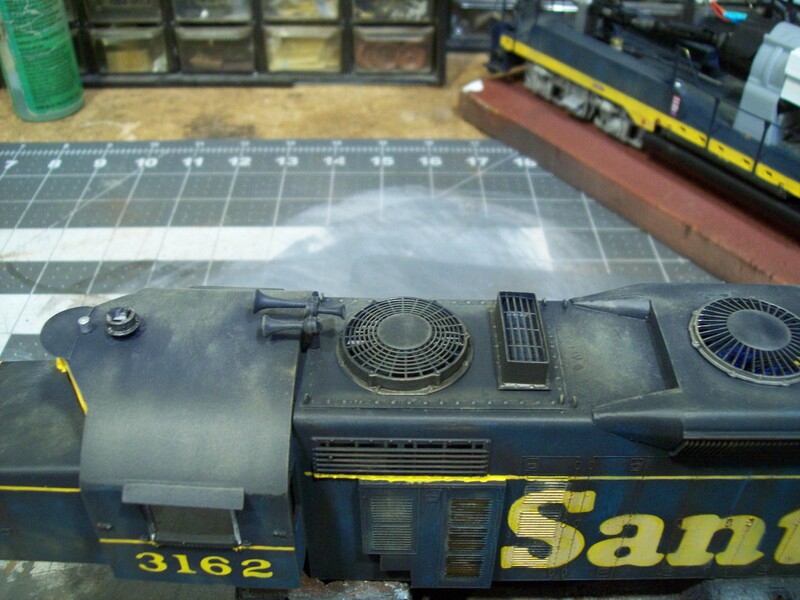 So a slight tweek is necessary for the color to look realistic on the layout. Once the paint has set I started to apply decals. As it turned out, I had two fresh sets of RL Decals done by Rick Leach a few years ago before he moved to Idaho. 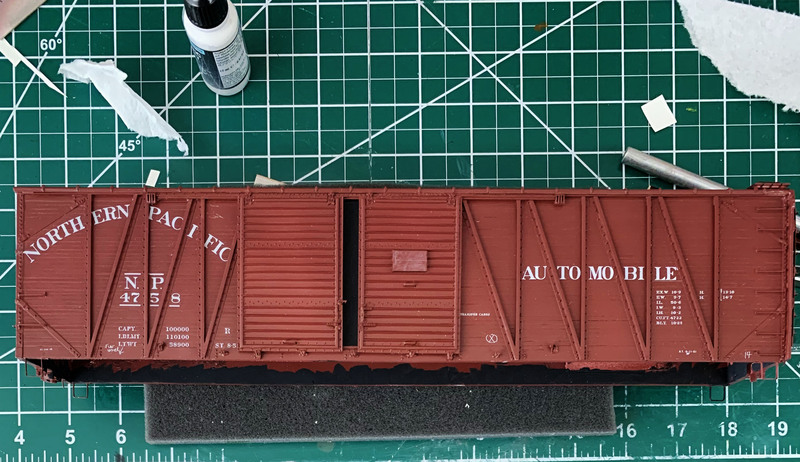 I will save the Protocraft decals for a different 50′ boxcar. Protocraft based their set on the Rick Leach artwork so it should be right on. Here is what the side looks like after all the decals are in place. RL Decals used a very thin film so care must be taken during the application. I wet the decal by dunking it in distilled water then position on the model. Once the decal slides easily on the paper backing I push it onto the car. Make sure the model surface is wet. Position the decal and allow it to sit for a few minutes. Use a scrap of paper towel to draw off water from the edge of the film. Be careful not to hit the film with the paper. 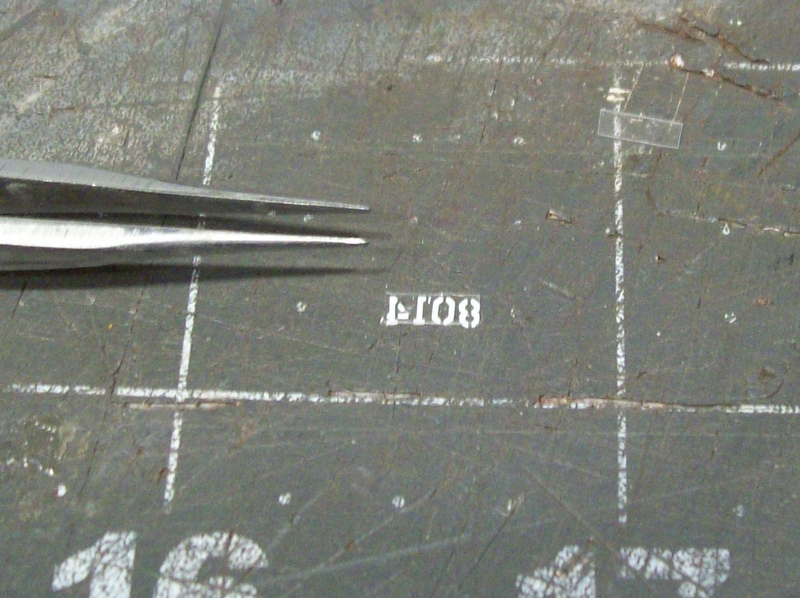 Allow the decal to settle in before applying Microscale Blue Label to the edge of the film. Be patient and let the first application do it job. You can go back and apply additional setting agent until it is void of any silvering. Sometimes you need to poke the film with a fresh #11 blade. Be gentle or you will tear the film or scar the paint. I will apply a clear gloss lacquer over the decals after they have dried. The next step is application of weathering. I will touch upon that in the next chapter. You may have noticed that the floor is not installed. I like to leave the installation until the last step before final weathering. However, I do apply weathering to the floor so it is ready to go when installed. 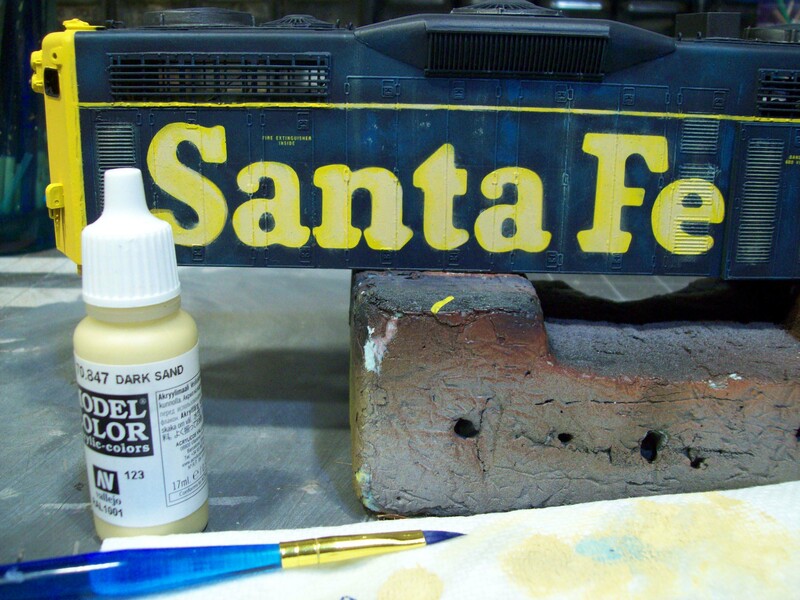 My technique is to apply a wash of Vallejo or Tamiya earth colors to the complete underbody. Let it dry and follow it a wash and highlight using AMMO Oil Brushers. The rust was used as a highlight as was the buff. I used Starship Bay Sludge as an overall wash to the trucks and underframe. It has a slight green cast to it and looks a bit like oil and dirt mixed. 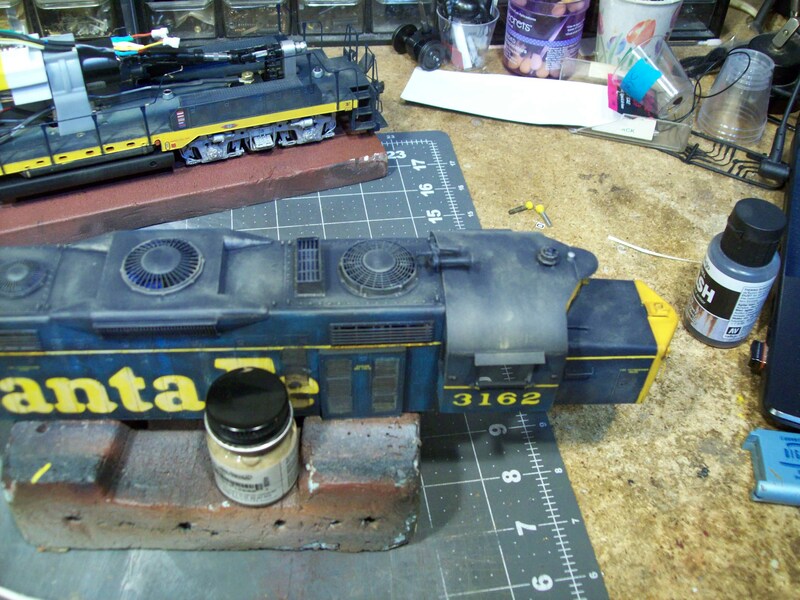 Here is the finished underframe with all of the weathering applied. It is ready for installation. 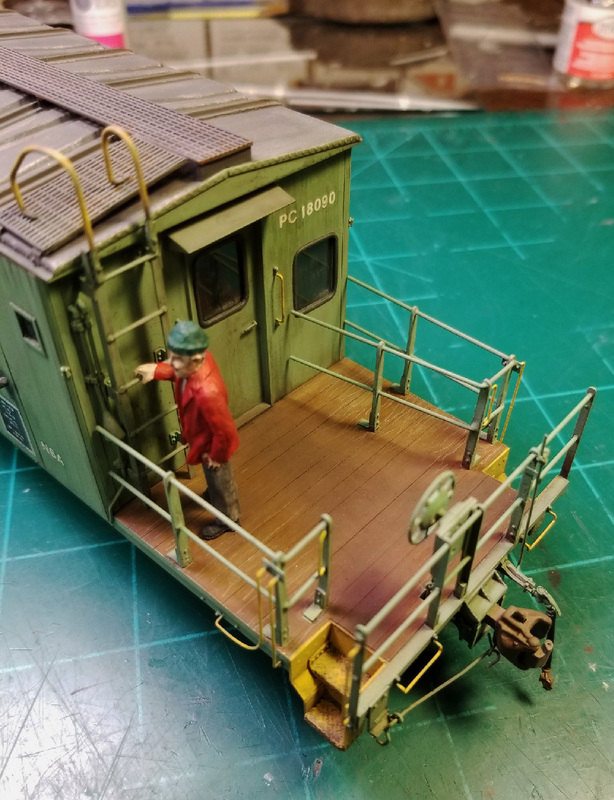 I used the same weathering techniques on the trucks. I added some oil stains using a Vallejo product. The truck style used on these cars was a Dalman Two-Level 50-ton truck. Fortunately for P48 modelers, Protocraft imports this same truck! It is a really distinctive design. Next time, I will show you the finished model. So stick around for the next chapter. 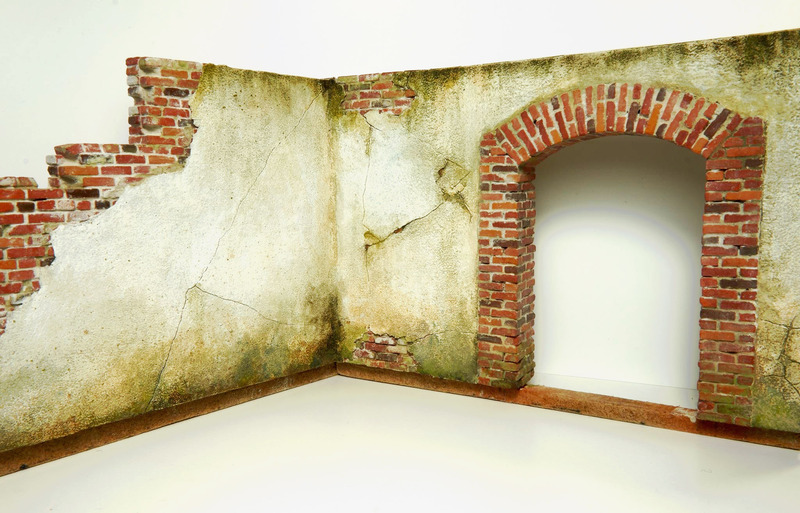 Lee Turner continues to amaze with his signature style of weathering and aging. 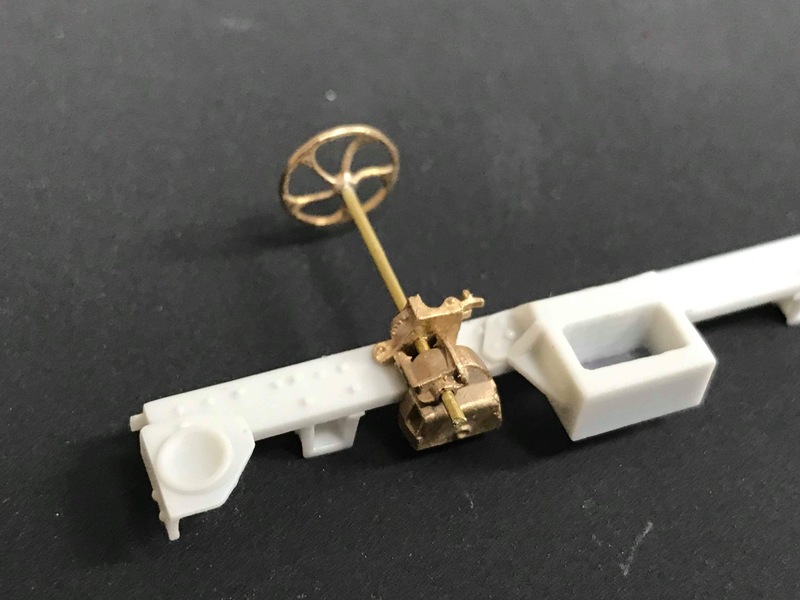 This time it is a Kemtron brass GP-20 that belongs to Bill M’Connell of O Scale Turnouts. The Kemtron model was offered as a kit back in the 1960s. It was composed of etched brass panels and lost wax castings for details. 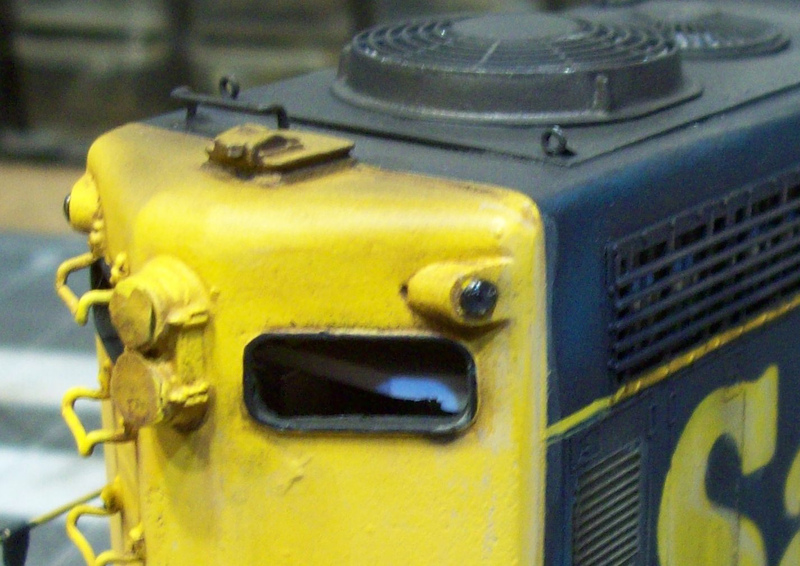 Lee adorned the model in the classic Blue and Yellow paint of that era. This is the second model Lee has done for Bill. With all of Lee’s work you need to study the pictures carefully to appreciate many of the subtle accents applied. It does look like time has taken its toll on the beautiful Blue/Yellow finish. I must admit that Lee has made me a fan of this Santa Fe color scheme. I used to like the old black and silver zebra stipes but not any longer. 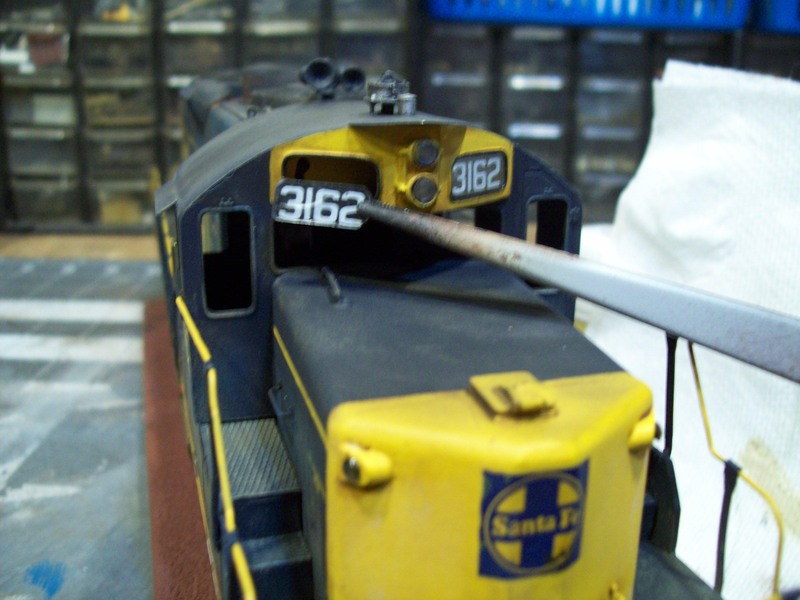 By the way, Lee Turner will be presenting a 2-hour clinic at O Scale West on 23 May in the evening. The event is being held at the Hyatt Regency in Santa Clara. Thank you for sharing this exquisite model with us. 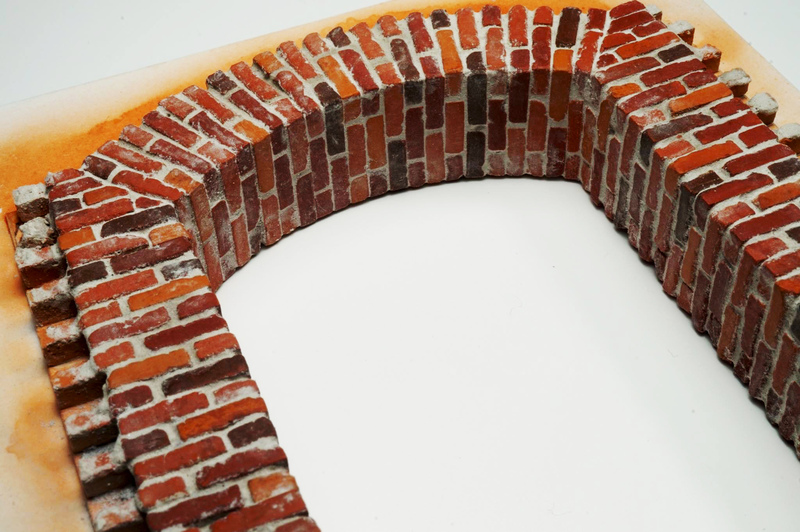 A lot has been written on how 3D printing is changing the way modelers create things. The concept of creating models using 3D has long facinated me. I saw a model of a F-16 fighter printed by a machine in our engineering labs back in the 1980s. The model was crude by todays standards but remarkable for its time. The design tool was a huge program called CATIA. It ran on a mainframe. Years have passed and technology has made huge strides. Now you can do design on a PC or MAC at a reasonable price. Printers are getting better and cheaper. Cheaper is a relative term. Formlab has a very capable machine that will produce beautiful parts. The old saw about getting what you paid for is very true when talking about printers. 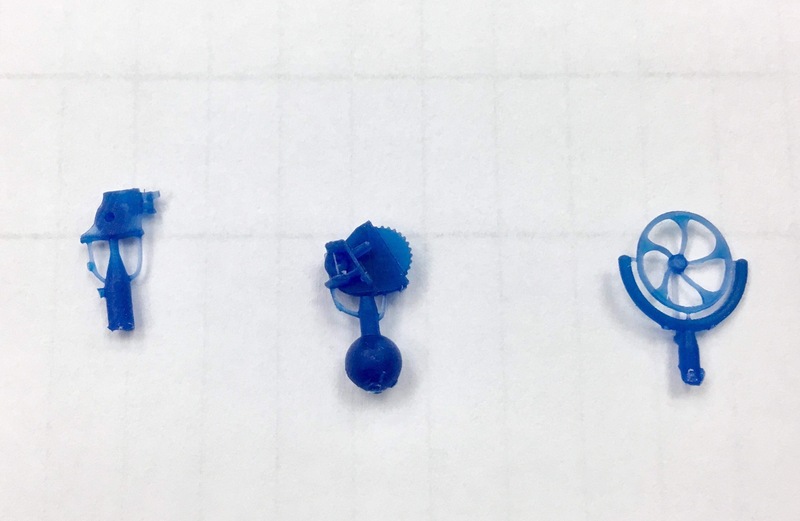 However, don’t expect high quality capability for less than $1000, There are service bureau such as Shapeways that will print your designs. 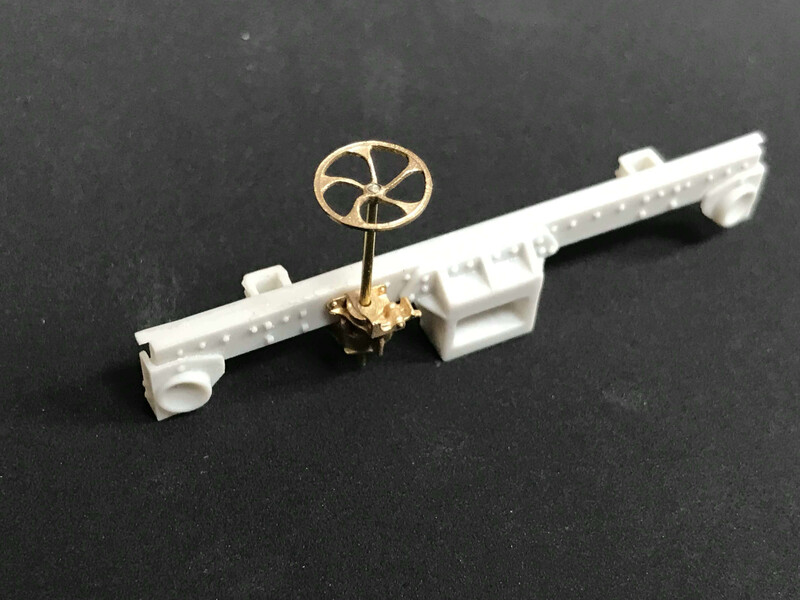 I have purchased parts from Shapeways but have not been impressed. The parts lacked a smooth surface and had evidence of layers from the printing resolution. The highest quality parts cost more due to the amount of machine time required. The part shown above was printed on a Formlab Form 2 machine. 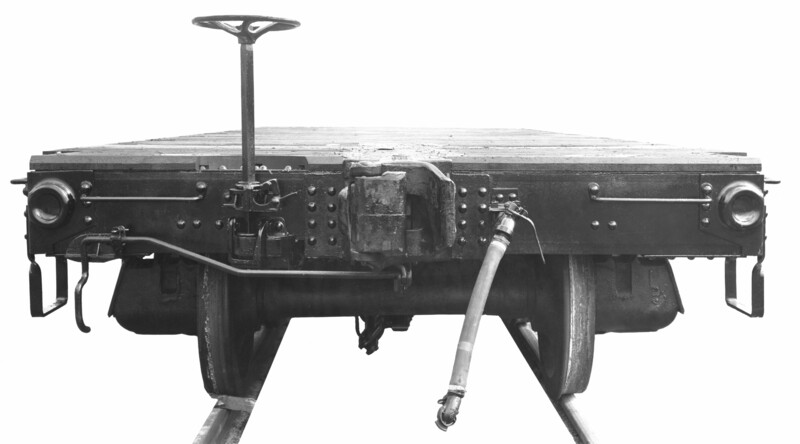 The part is a bolster/saddle for a GATC tank car. A complex part that is the strong suite of 3D process. 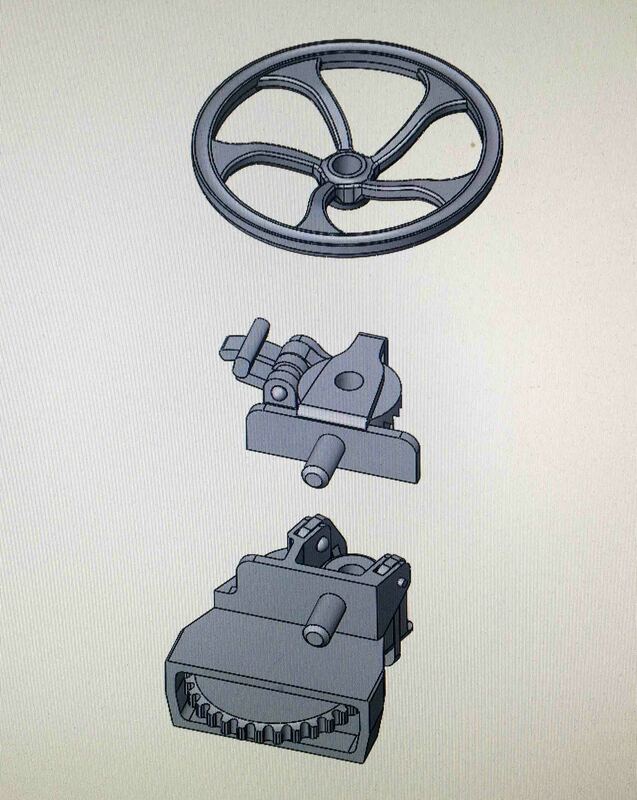 The picture shown above is what a set of parts rendered on design software. The design is an Universal 5934 hand brake set. These were applied to flat cars starting in the late 1930s. 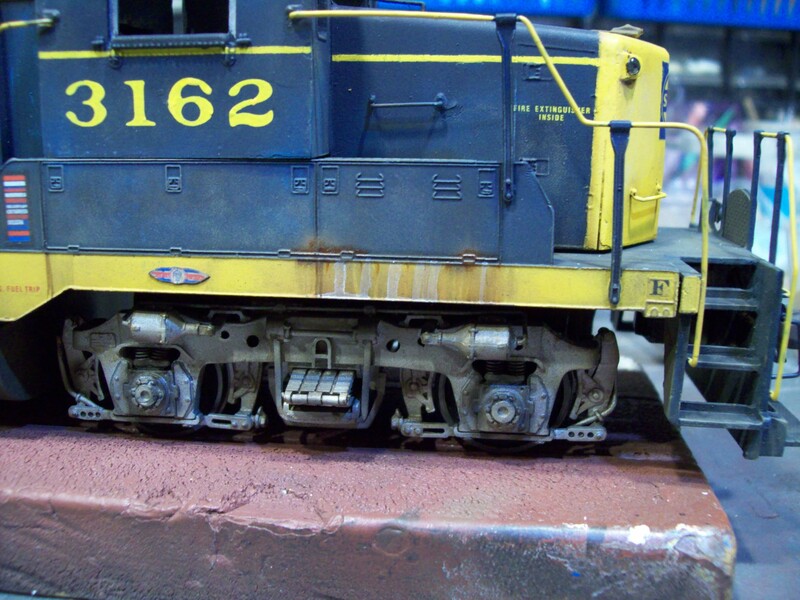 Here is the hand brake assembly installed on a Pere Marquette 70-ton AAR flat car. 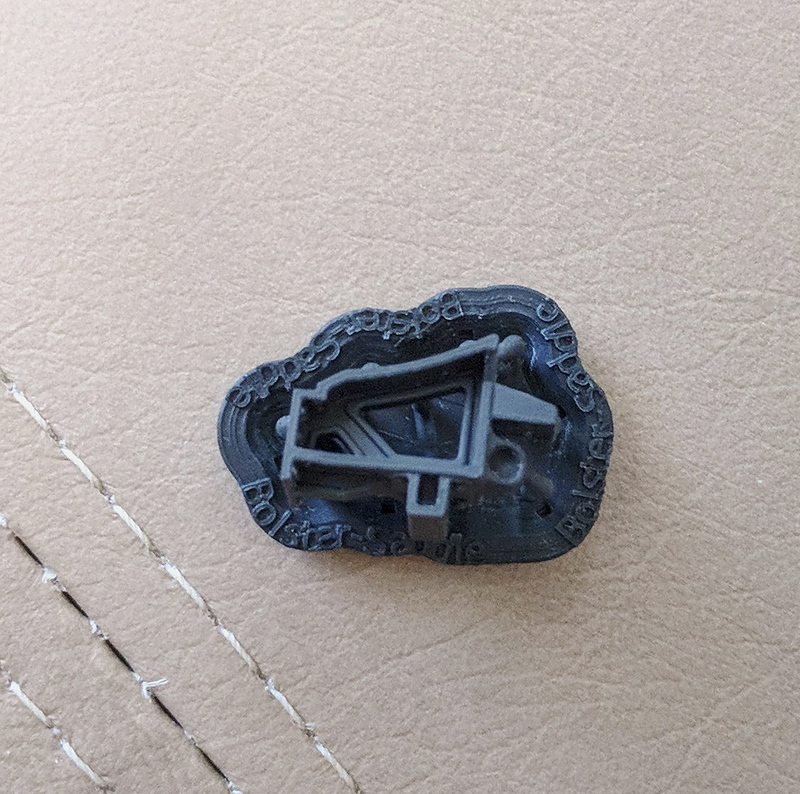 It was a common hardware item found on a wide range of cars. 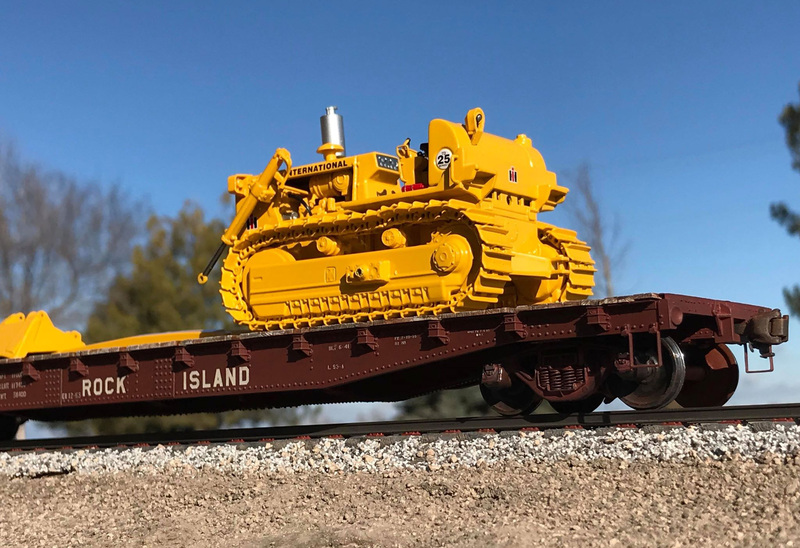 Ross Dando has started a small 1/4″ scale kit business called Twin Star Models. 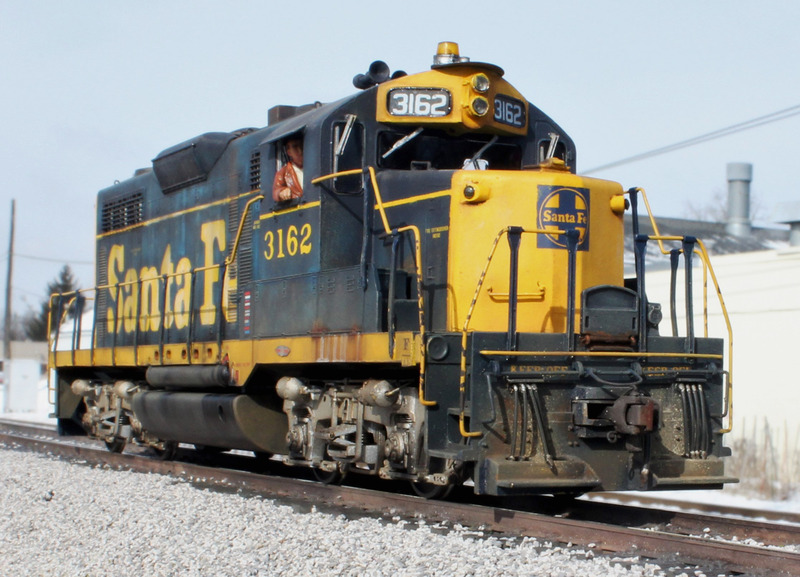 His first product is a Rock Island rebuilt 53′ flat car. The project needed a special hand brake set for the car. 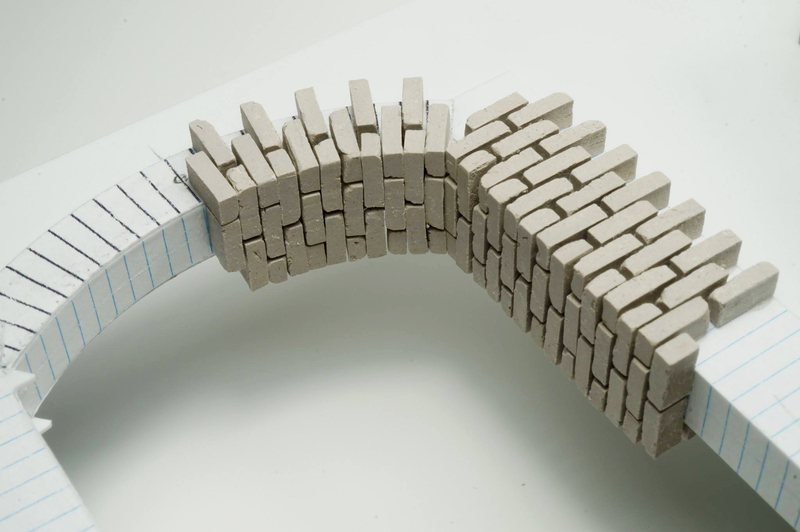 He contracted with a 3D designer to develop the part based upon drawings. The designer used a process of printing a type of resin that can be burned out in the brass investment process. The blue parts shown below are sent off to a brass foundry for casting in metal. The benefit of this approach is that the resulting castings are super sharp when compared to creating a mold to shoot wax investment parts. 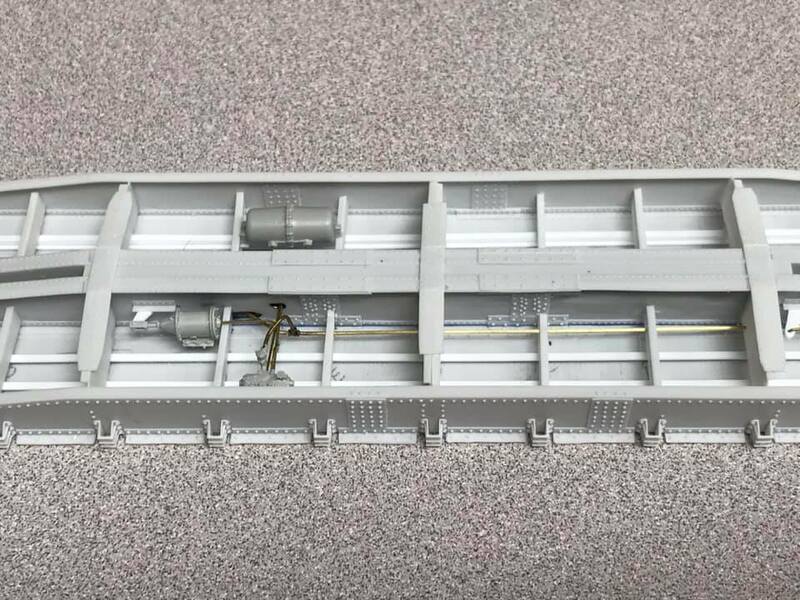 The parts are shown assembled and installed on a the end sill of the flat car. Ross has created an extremely useful and essential part. There are several cars I can now build when that it becomes available. Special parts like specific decal sets are enabling items that allow great models to be built. Ok, I am a bit of a foamer that counts rivets. Proto48 is about doing the model right. It is about quality not quantity. Ross Dando’s flat car is a tour d’force in fine pattern making. The resin castings were done by Jon Cagle who is the best. Good stuff coming our way!